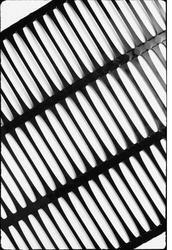 Prominent & Leading Manufacturer from Vadodara, we offer re geo-grid and drainage nets. RE geogrids are generally utilized in the construction of retaining walls, slopes and slope repairs. The geogrid is used as the soil reinforcement which takes the lateral earth pressures. RE geogrids are manufactured from the highest quality HDPE which is resistant to chemicals naturally found in soils, including aqueous solutions of salts, acids and alkalis (pH = 2.0 to 12) and is non-biodegradable or hydrophobic. 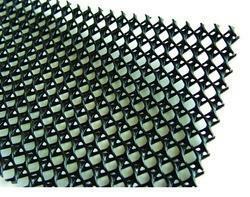 Drainage Net is a high quality extruded plastic mesh for use within a geotextile drainage membrane. Drainage meshes are designed to meet the demanding requirements of the geo-technical market including Landfill sites. Drainage nets are used by customers in many composite products laminated to a variety of film and non-woven materials. Thicknesses range from 4.8mm up to 8.4mm, and the sophisticated design allows for high flow rates, with excellent crush resistance at light weights. This allows Pelican to offer a range of effective products at highly competitive prices.